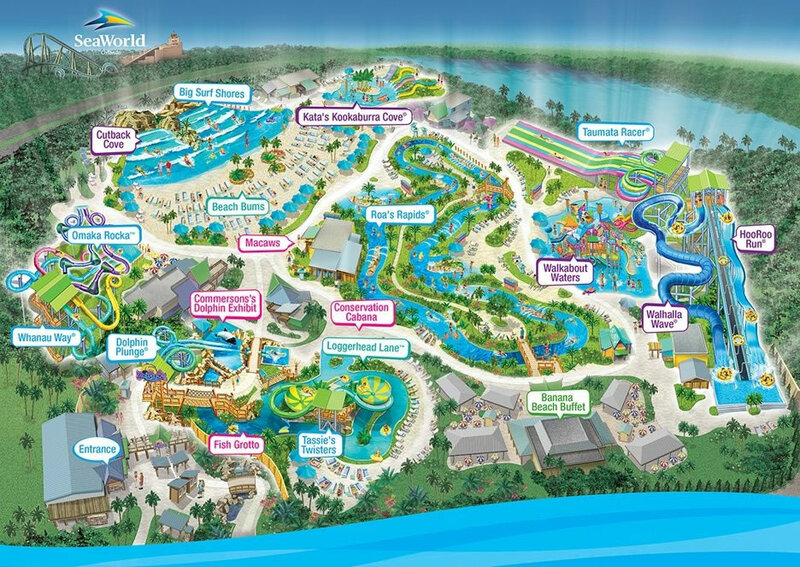 Aquatica, SeaWorld’s Waterpark™, isn’t just home to some of the world’s most thrilling water rides, tranquil lagoons and 84,000 square feet of sparkling, white sandy beaches. It also offers the sort of up-close animal encounters that make SeaWorld® Orlando famous, resulting in one of the most unique water parks you’ll ever experience — and you’ll find it in Orlando! Designed to look like the wings of a giant manta, Ray Rush is the newest reason you’ll want to visit Aquatica. Climb aboard one of the attraction’s four-person rafts and slide, splash and soar through an unforgettable adventure. You’ll have plenty of other opportunities to blast through high-speed water slides on rafts, mats and tubes at Aquatica — including the chance to test your skills against seven other people on Taumata Racer. Or, prove your mettle on Omaka Rocka, Tassie’s Twisters, Walhalla Wave and Whanau Way. At Aquatica, you can also race along the white waters of Roa’s Rapids and brave the steepest multi-drop tower in Orlando at Ihu’s Breakaway Falls. And for a journey you’ll never forget, fly through a whimsical school of black-and-white Commerson’s dolphins from inside an enclosed, see-through tube at Dolphin Plunge! That attraction also has an underwater viewing area that kids will love. What’s more, children can get some pint-sized thrills of their own at Kata’s Kookaburra Cove and Walkabout Waters. When you’re ready to relax, Aquatica is ready for you with the Cutback Cove and Big Surf Shores wave pools, which feature sandy beach areas. And for the ultimate in tranquility, grab a tube and drift your cares away as you float past exotic tropical fish and Aquatica’s dolphins at the park’s lazy river, Loggerhead Lane. Need more serenity? Private cabana and lounger rentals are available on the beaches. Thanks to heated water during cooler months, Aquatica can be enjoyed all year round, excluding periods of severe weather. Ready to experience it for yourself? Save on one-day admission with special discounts from Visit Orlando. For even more savings, choose the one-day with all-day dining plan, which includes one meal per hour at participating Aquatica restaurants. It’s the best way to dive into Aquatica!